I’m a big sports fan Basketball is my favorite sport and I’m extra excited that the NBA Playoffs is in full swing. So, I think I’m going to introduce a couple of players on the blog until the season wraps up. 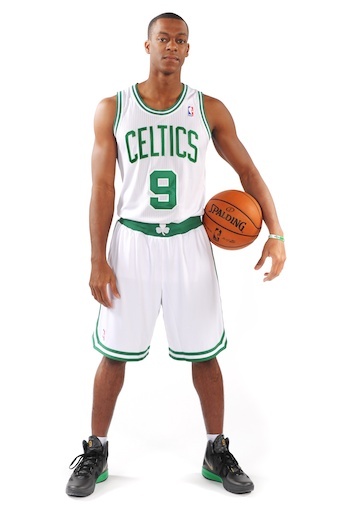 So, my first baller of the week is none other than Boston Celtics Guard Rajon Rondo. 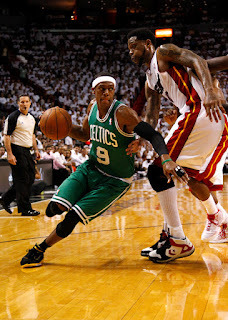 I was watching the Eastern Conference Finals opponents Miami Heat host the Boston Celtics on Tuesday night and boy was that a good game. Boston won that game; which gave them the lead on the series 3-2. 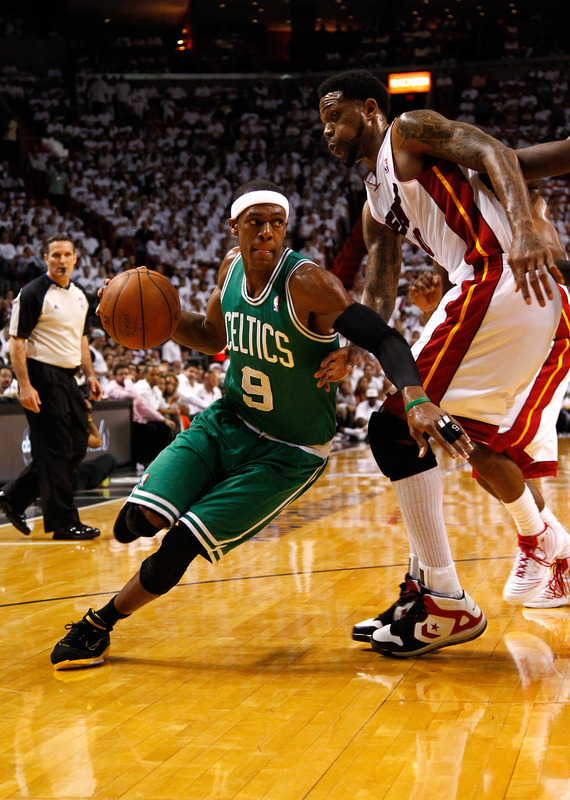 Check out another picture of Rajon Rondo below in action. I can’t wait for tonight’s game. They are back in Boston for game 6 and can possibly end the Miami Heat season tonight. Are you watching the playoffs? Who are you cheering for?